Breaking out of the mold from previous releases, Google took to the stage during its 2014 Google I/O developer conference to announce a new version of Android, dubbed simply "Android L." In October the name was finally released as "Lollipop" and given the distinction of Android 5.0. The name comes from the Android naming convention that goes in alphabetical order, where L would follow the previous release, KitKat. The difference this time around being that Google released certain parts of the OS ahead of time under the "Android L" name to get it in developers' hands, and released the naming later. Android 5.0 Lollipop comes with yet another interface design tweak, this time coming with the name "Material Design." The design language builds heavily on some of the interface experimentation Google has done with Google Now, leveraging the "card" metaphor throughout the Lollipop interface. Cards of various colors and sizes appear throughout the system, with different colors and shadows providing a feeling of depth in the interface. Apps can respond to touch with different shadows and ripple effects to make the interface feel as though it is being manipulated directly by users, and bold new colors palettes give apps distinctive personalities. Animations are supposed to reflect user interaction, not just happen at random. Under the hood in Lollipop are dozens of new features and over 5000 new APIs that developers can plug into as well, as part of Android API level 21. Things like new notification hooks to work with Android Wear, better control over battery with Project Volta and cross-platform compatibility with Chrome OS devices are huge pillars of Android Lollipop. The first builds of Android L were distributed to developers at Google I/O 2014 with factory images made available for both the Nexus 5 and Nexus 7, and then launched officially with the release of the Nexus 6 phone and Nexus 9 tablet in the beginning of November, 2014. 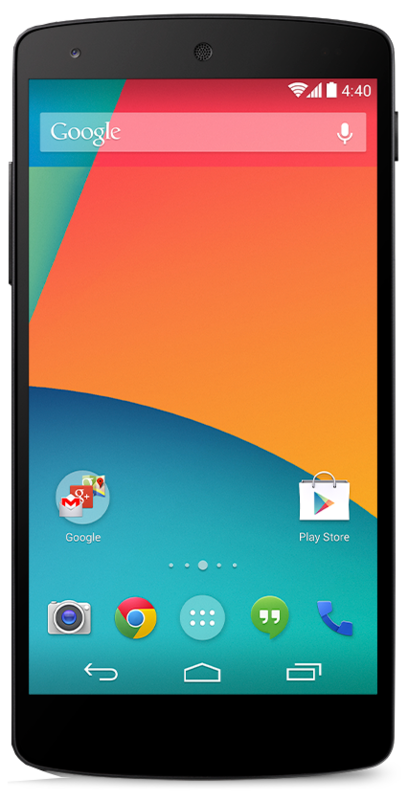 In March 2015 Google unveiled Android 5.1, an updated version of Lollipop. Android 5.1 includes performance and stability updates, multiple SIM card support, HD voice calling and "Device Protection," which secures lost or stolen devices against factory resets. Android 5.1 also brings the platform up to API level 22, including new APIs to let developers work with dual-SIM devices, and APIs to let carriers control provisioning and other cellular services through apps on Google Play. Android 6.0 Marshmallow increased its install share on all Android devices from 2.3% in March to 4.6% in April. Motorola has announced that it will not be upgrading the Droid Ultra, Maxx, or Mini to Android 5.0 Lollipop. Verizon has finally decided that it's time to push the Android 5.1.1 update out to Samsung Galaxy Note 4 owners. The update includes a number of fixes, as well as support for Android for Work and removal of the Amazon Appstore. Google has released its latest monthly Android version distribution numbers, showing the Lollipop and Marshmallow are continuing their steady march ahead, running 29.5 percent and 0.5 percent of active devices, respectively. Can You Turn Off the Pop-up Text Notifications??? Samsung's phones will now tell you which Android security patch level you're on, even on Lollipop. From this point on it's not acceptable for a manufacturer to launch an Android phone or tablet with anything less than Android 6.x Marshmallow. Google's got some clever ways to make your phone a little more secure than having no lock screen at all. Here's how you use them. AT&T is now pushing an update to the Samsung Galaxy S5, which bumps the phone up to Android 5.1.1. If you've yet to receive the update notification, you can check manually in your phone's Settings. Duplicate threads merged. Who's your carrier? Verizon is now pushing out the Android 5.1 update for the Moto X 2013 following a brief soak test. The update brings security patches, UI improvements, interruption controls and more. Lollipop is now installed on 21 percent of active Android devices, up around 3 percent from August. Since Android 4.0 Ice Cream Sandwich, you have been able to unlock your phone with just your face but using it was so bad that most users to never used the feature. With Trusted face, Google has reinvented and reimagined the feature so that it is easier to use and is more reliable. The best part about the new Trusted face Smart Lock is that you won't even know that it is there. Where can I download Samsung clone firmware for my Enes A3 MT6572 NAND? Maybe you found the wrong firmware? Google has issued its monthly report on the distribution of Android versions across devices, showing that Lollipop is now on 18.1 percent of Android smartphones. When it came to making the next jump to Android 5.1, Motorola clearly took its time. The relatively small jump from 5.0 to 5.1 on the Moto X 2014 took longer to release than the substantially larger move from 4.4 to 5.0, but there was a reason — this update was about smoothing out of the Moto X's software experience. NVIDIA is pushing out an update to its Shield Portable, which brings along with it Android 5.1, and Chromecast support. Unfortunately, while bringing some new features along with it, this update also removes Miracast, Sonic 4, the Android Browser and more. There are two advantages of sideloading, firstly, you obviously get the update quicker and secondly you get to learn a little about your device and Android in general.